With fall well upon us, I took the opportunity last weekend to go apple pickin’. 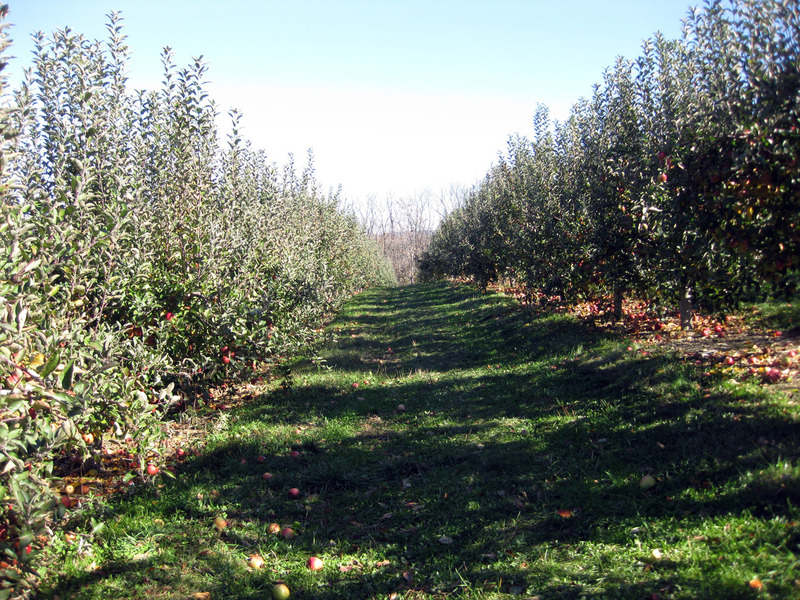 My favorite orchard to visit is Pennings in Warwick, NY. 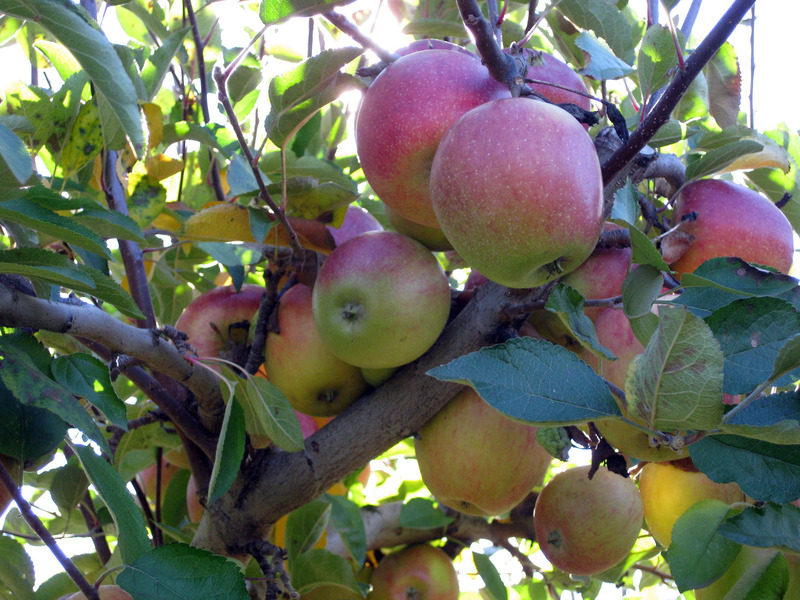 It was the end of apple season, which some may think is bad due to limited selection. However, unless you need one specific apple type and aren’t willing to budge, I find it nice to go at the end of the sea son. The crowds are gone, which if you ask me makes it all worth it. Braeburn apples ripen late in the season, so in between bites (yes, I grabbed them right off the tree and bit in) I filled my bag up on these and mentally prepared myself for all of the delicious recipes that would be made. I have made three, yes THREE, different butter spreads. Two apple, one pumpkin. These are great to have sitting around if you have company and want to have snacking food. Actually, even if you don’t have company, I assure you that you will have no problem devouring these spreads all on your own. I like to dip crackers in these butters, but there are many uses – on toast, on pancakes, as an apple dip, or whatever else you can come up with. The recipe below can be canned in a hot water bath. I have included directions on doing so, but if you are going to skip the canning, I suggest cutting the recipe in half since it makes quite a bit. You can fill 8 half-pints with this recipe. Combine apples and apple cider in a large saucepan. Bring to a boil over medium-high heat. Reduce heat and boil gently, stirring occasionally, until apples are soft (about 30 minutes). Transfer apple mixture to a food processor or blender in batches, and puree untill a uniform texture is achieved. Do not liquefy. This should make about 12 cups of ﻿﻿﻿﻿﻿﻿﻿puree. Combine apple puree, sugar, cinnamon, and cloves in a large, clean saucepan. Stir to dissolve and again bring to boil over medium-high heat, stirring frequently. Reduce heat and boil gently, stirring frequently until mixture thickens and holds its shape on a spoon. Cool and serve. prepare the boiling water canner, heating jars and lids. Ladle apple butter into jars leaving 1/4″ headspace. Remove air bubbles, wipe rim, and secure lid and band to “fingertip tight”. Process jars in boiling water bath for 10 minutes. Remove from water, cool, and check seal after 24 hours. This entry was posted in Cooking Jumbles and tagged apple, apple butter, apple cider, fall. Bookmark the permalink.